So here’s an interesting question – how much are you willing to do for the person you love? No need to answer that, but give it some thought. Michael, as it turns out, is the kind of person willing to go to the end of the world and back for Simona (the end of the world being Bucharest in this case). The day before the wedding he got himself baptised in an Orthodox church – and given that he doesn’t speak Romanian, that must have been a very Eyes Wide Shut type of experience for him. For the wedding day, he prepared a speech in Romanian (again, he doesn’t speak the language) – he rehearsed it a lot and pulled it off quite well. And one could easily see why he is so in love with Simona – she’s bubbly, cheerful and easy-going. On the wedding day, she was always smiling. Despite their self-proclaimed camera shyness, they were both natural and spontaneous. What I enjoyed the most about Simona and Michael’s wedding was that it didn’t feel like a typical Romanian wedding at all. The wedding took place at Mogosoaia, they had an outdoors ceremony, a beautiful open tent for the reception, a magician for entertainment, speeches and quiet moments for the guests to enjoy the summer evening. 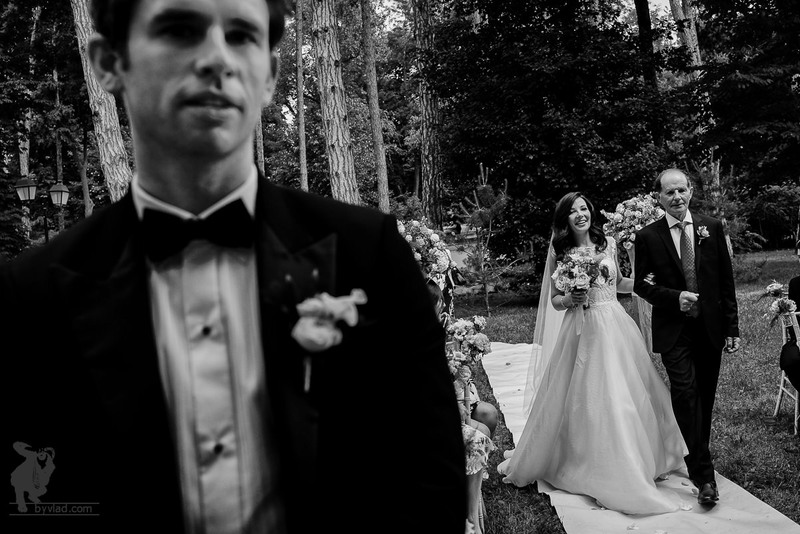 Credit is due here to Idyllic Events and all the hard work that Milena put into making this such a memorable and photogenic wedding. Simona and Michael, thank you for your trust! Enjoy!